"For me, the bigger picture this year is to win the World Championships and successfully defend [a gold] in 2015 as part of the preparations for the 2016 Olympics in Brazil. "It forms part of my four-year plan leading up to the Olympics where I want gold." "I have no space at home for more silver medals." 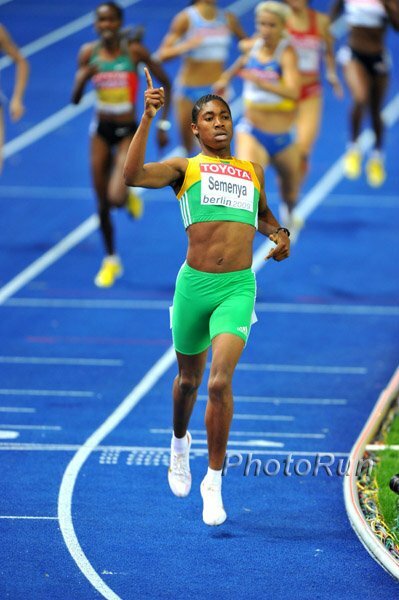 - Caster Semenya talking about her goals for 2013 and beyond. For someone who was accused by some of losing races on purpose last year (we don't think she was), she seems pretty motivated to win. 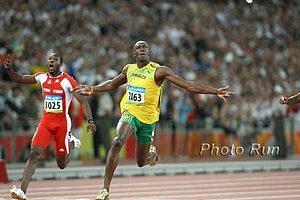 RUDISHA VS BOLT IN 400 METERS !!! 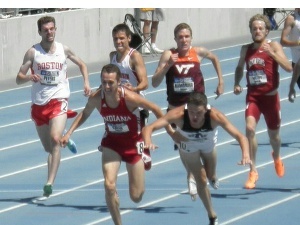 What is the term for involuntarily speeding up on a easy run when you hear someone coming up on you? IAAF Men's Preview: Defending Champ Imane Merga The Man To Beat Can he be challenged by surprise Kenyan trials winner Philemon Rono, or 2010 silver and bronze medalists Teklemariam Medhin (Eritrea) or Moses Kipsiro (Uganda). 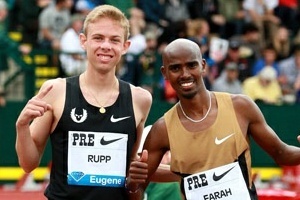 Ethiopian trials champ and star marathoner Feyisa Lilesa is also in the field. USA: US #1 Chris Derrick knows it won't be easy: "It’s not going to be in my comfort zone...3 years ago, Mo Farah was 21st and he was a 12:57 guy [at the time]." 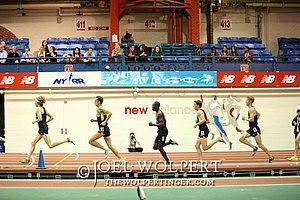 Kenya: Will Kenyan XC Team Cave Under Pressure To Perform Up To Their 2010 Level Where They Won All 4 Individual And Team Titles Article analyzes Kenyan team and shows how overall, it doesn't have nearly the depth that their 2010 squad did. UK: Terrence Mahon Thinks GB Senior Women Could Be A "Dark Horse" For A Medal "Our dark horse was our senior women’s team. They may not have the firepower right up front but at the Euro Cross we had such a tight cluster that it was a pretty impressive team in terms of the team scoring." SA: South African Sport Confederation And Olympic Committee Has Bailed Out Broke Athletics South Africa by Paying Travel Costs To Send XC Team To Poland According to this article they almost didn't get to go and only found out Tuesday that they would. WADA Sends Warning To Drug Cheats About Harmful Side Effects Of Banned Substance GW501516 Which Is Being Sold On The Black Market Wada said: "The side effect of this chemical compound is so serious that Wada is taking the rare step of warning 'cheats' to ensure that there is complete awareness..."
Haile Gebrselassie Will Try And Win His 6th Bupa Great Manchester Run 10k Title On May 26th He had a great race last year setting a then world-leading 27:39 and beating Patrick Makau and Stephen Kiprotich. 2 Top FSU Sprinters Arrested In Gunfire Incident Olympic 4x4 silver medalist Ronell J. Mance and ACC MVP Stephen Newbold were arrested; Newbold for "discharging a firearm" and resisting arrest and Mance for a fake ID resisting arrest. 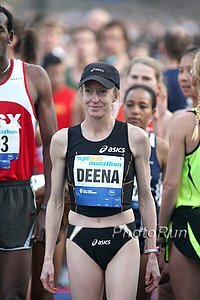 "Biggest Loser" Winner Wants To Run In 2013 Chicago MarathonShe won $250,000 for losing 121 pounds, going from 258 pounds to 137. Interesting: The Guardian Looks At The Asics Running Lab's New "Running Ability Measurement" Test Which Looks At Multiple Factors To Predict Your Time "The assessment looks at everything from cardiorespiratory fitness to flexibility and strength, limb alignment, body composition and running form before estimating your marathon and half-marathon potential." Another test looks at your DNA to predict whether you're a high or low responder to aerobic training. 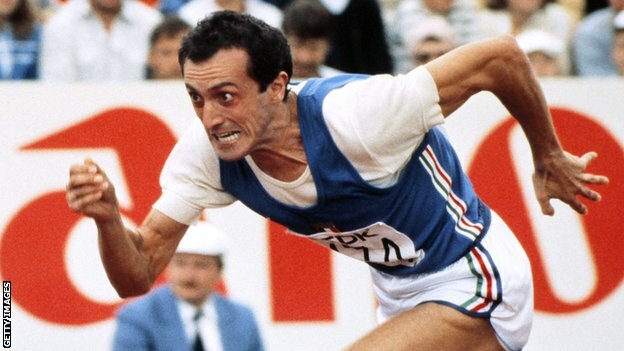 Italy's Former 200m WR Holder And Olympic Champ Pietro Mennea Has Died At Age 60Mennea broke the record in 1979 with 19.72 and held the record for 17 years until Michael Johnson ran 19.66 in 1996. His 19.72 is still the European record.